Few months back or we say last year Realme Smartphone Manufacture launched its Most Entry-Level Smartphone called Realme C1, it was overall a good budget Smartphone. 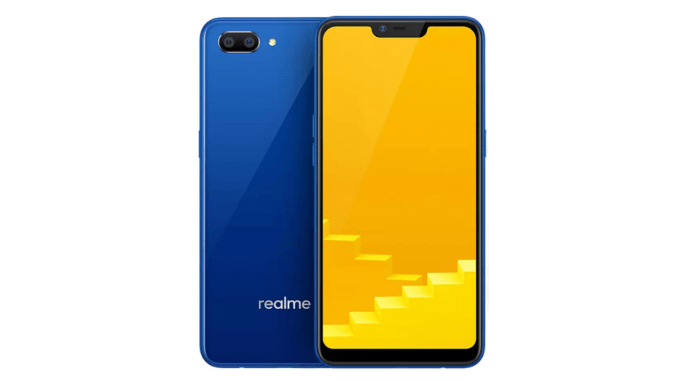 Now the Company launches its 2019 Edition which is named simply as Realme C1 (2019). This Phone was teased last week, and it will be exclusively sold by Flipkart from 5th of Feb.
Talking about the Specifications the device sports a 6.2 inch 1520 x 720 pixels resolution display of 19:9 aspect ratio and 2.5D curved glass along with Corning Gorilla Glass 3 protection. In the Camera department, there is a dual camera setup: 13MP Primary rear camera of f/2.2 aperture and a secondary camera of 2MP. it is packed with huge 4230mAh battery with no quick charge support, which is okay concerning the price point. Talking about the pricing & Availability, It will be exclusively sold on Flipkart from 12:00 noon 5th of Feb, the 3GB variant is priced at Rs. 8,499 and the base 2GB RAM variant is priced at Rs 7,499. Stay tuned with Alloftop for more updates Get Realme C1 (2019) From Flipkart.